Over 3000 square feet of awesomeness. 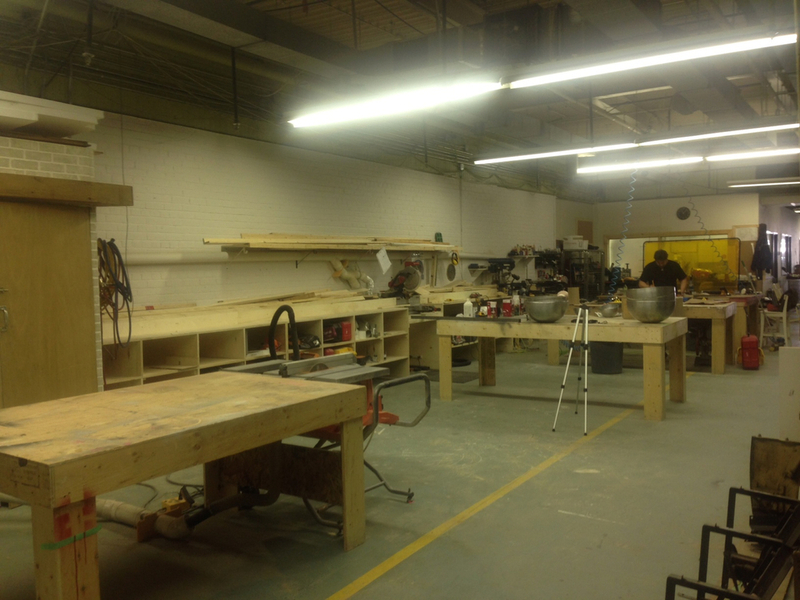 16 Tonnes operates a fully equipped prop and carpentry shop in the east end of Toronto. With over three thousand square feet of space, we are able to build and house a wide variety of projects. Our facilities include an extensive welding area, multiple work tables, a designated painting room and an office space with wi-fi, available desk/meeting room and a kitchenette. We welcome drop-by visits from all producers, directors, pets and aliens at any time (aliens should call ahead so we can prepare the landing pad)!